Simple, warm & cosy. 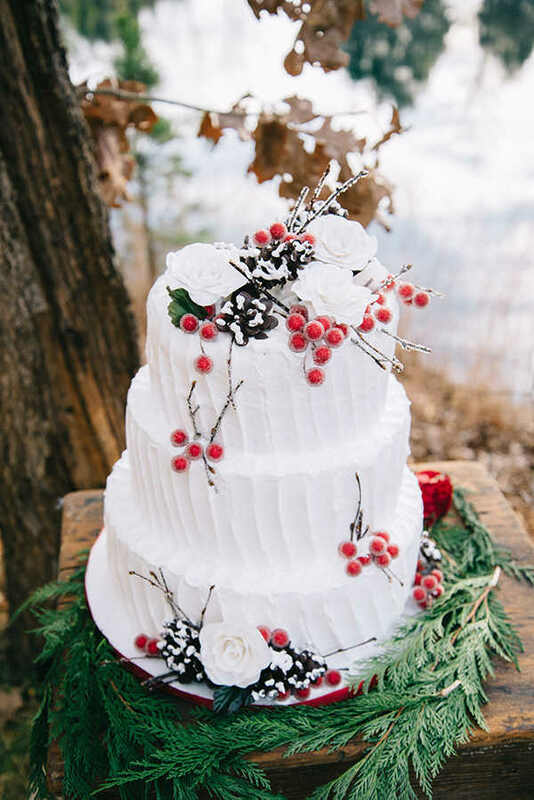 A beautiful holiday wedding in the woods. 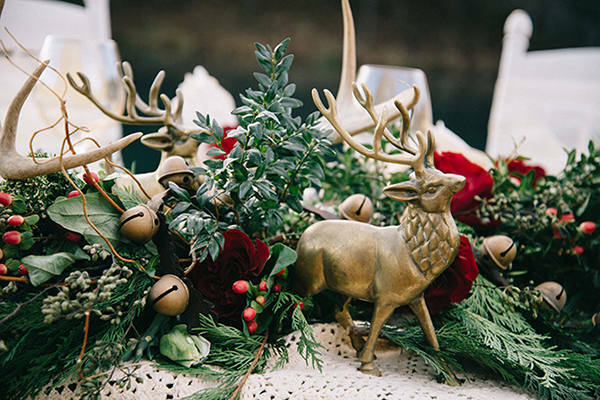 We all love the Christmas charm and magic, created by the wonderful decor. 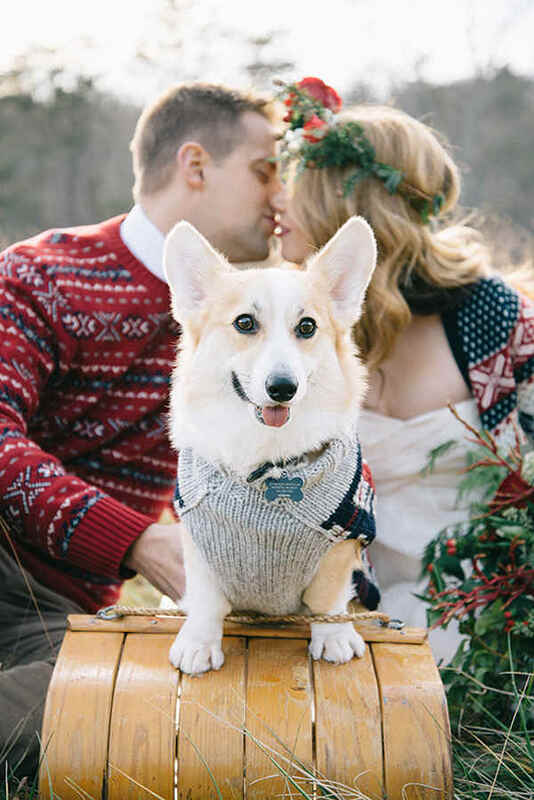 Folk Christmas sweater is simply classic nowadays. 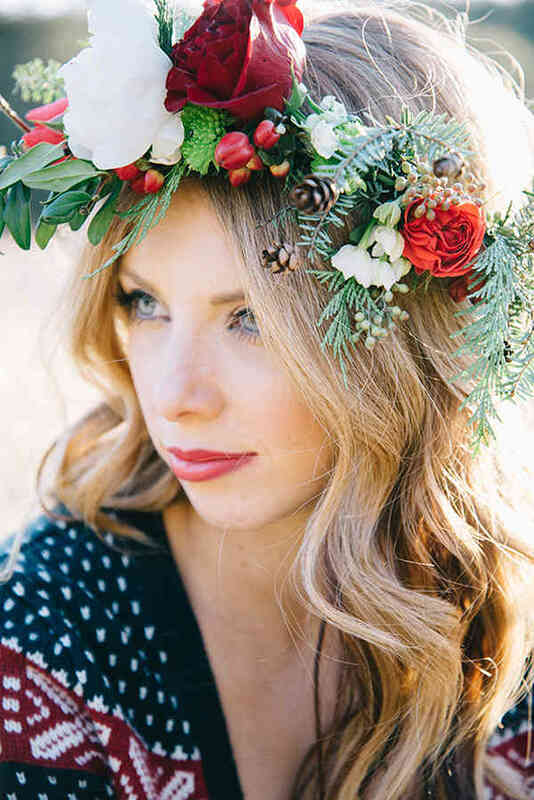 It’s not only fashionable but also brings out the most beautiful spirit of the season. 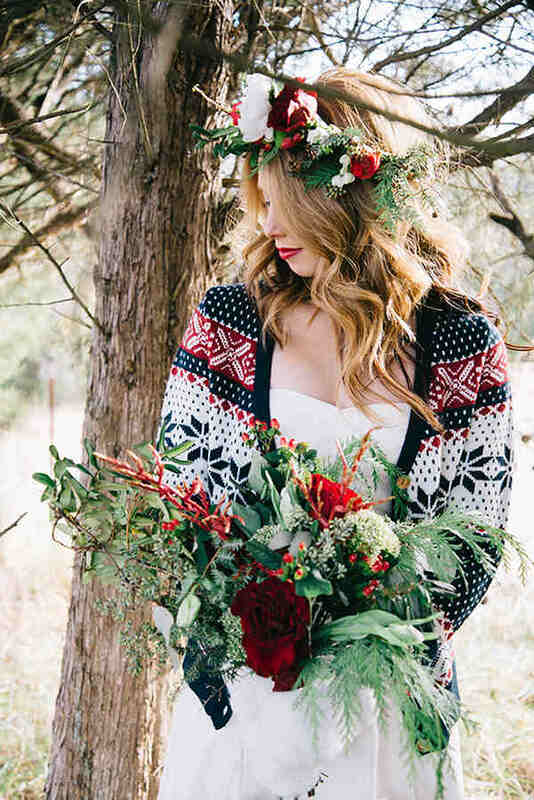 That’s why the festive navy/red/white sweater is one of the best ideas for a unique wedding outfits. 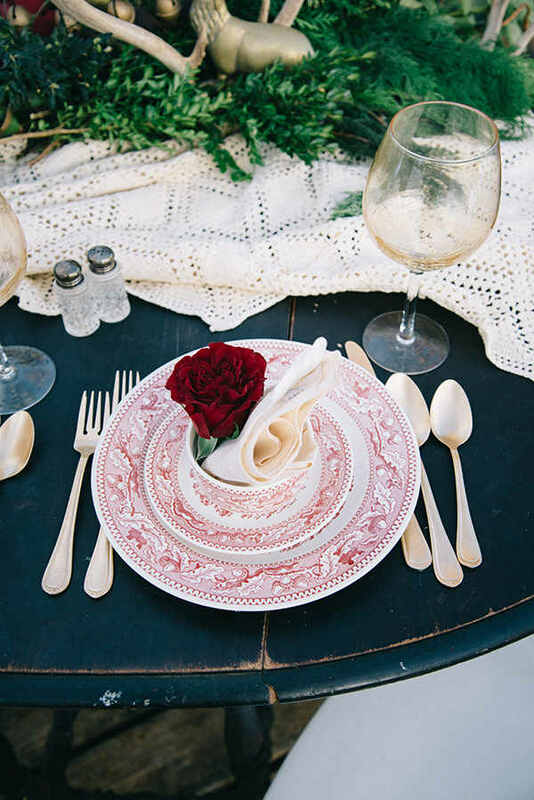 Today we present you an inspirational styled shoot, with a holiday touch to it. 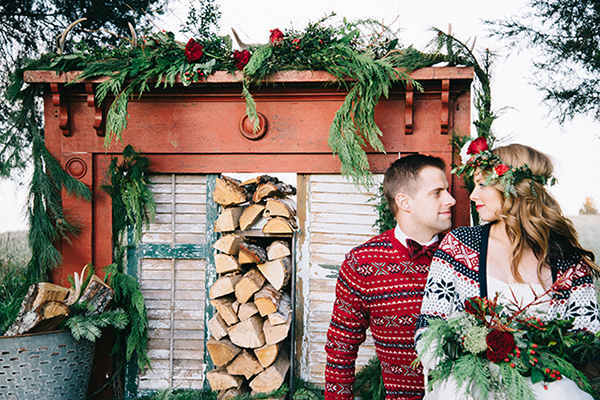 An amazing flower crown in red and white, groom and best man dresses into Christmas and a unique ceremony backdrop. 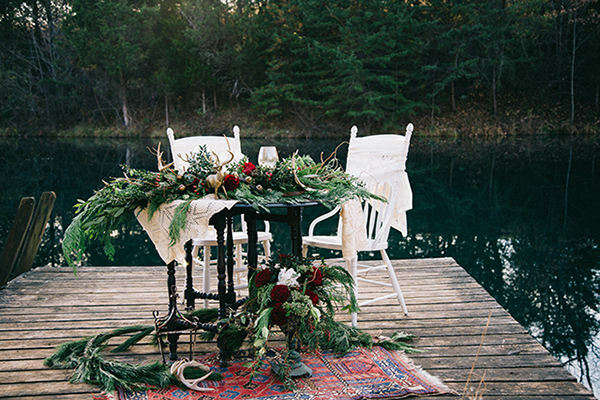 Inspiration just perfect for the marriage-to-be that loves family warm, informal atmosphere and the magical aura of the winter. 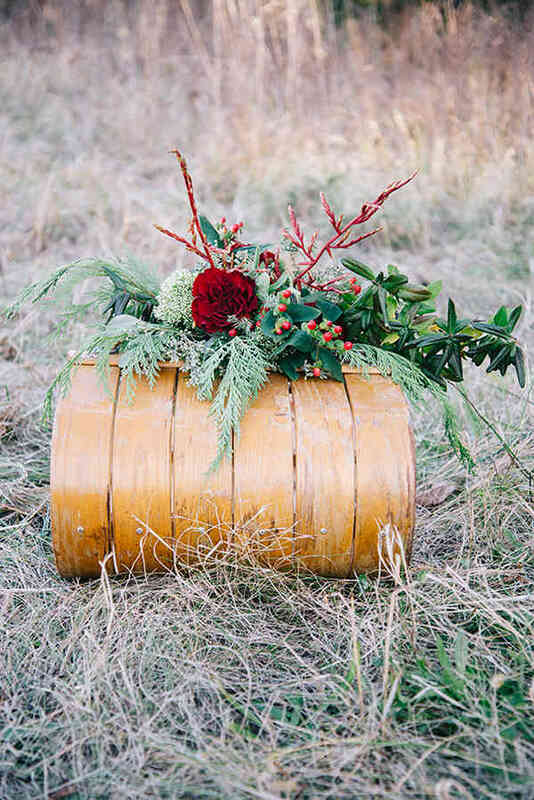 Stunning wooden touches make the setup even more homie-like. 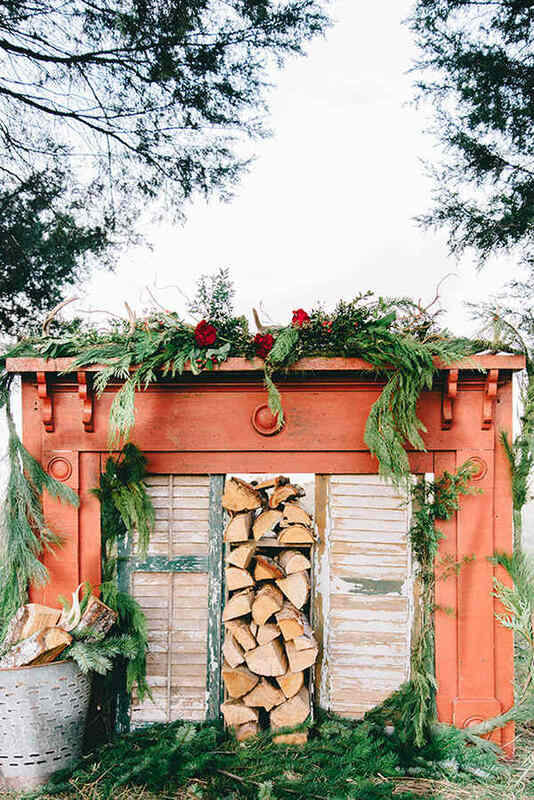 What an inspiring idea to choose the fireplace as a wedding backdrop. 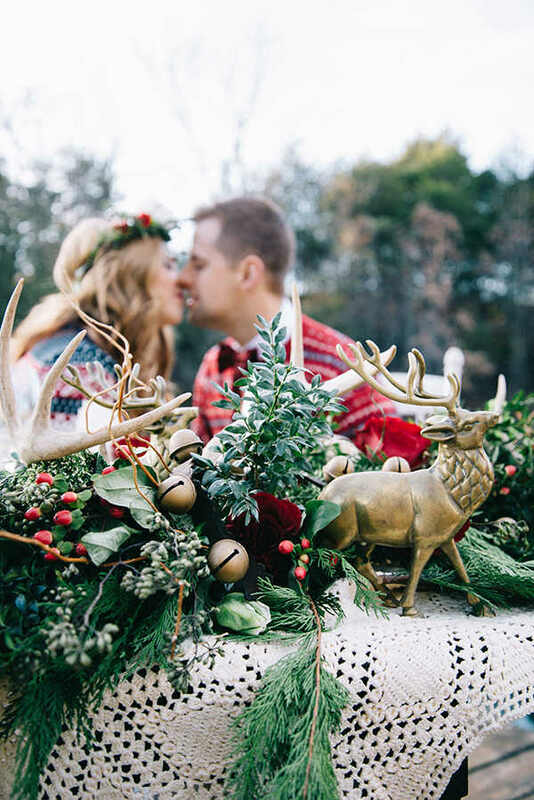 We all love the mantel Christmas decor so much, so why not to attach the most beautiful memories to it. 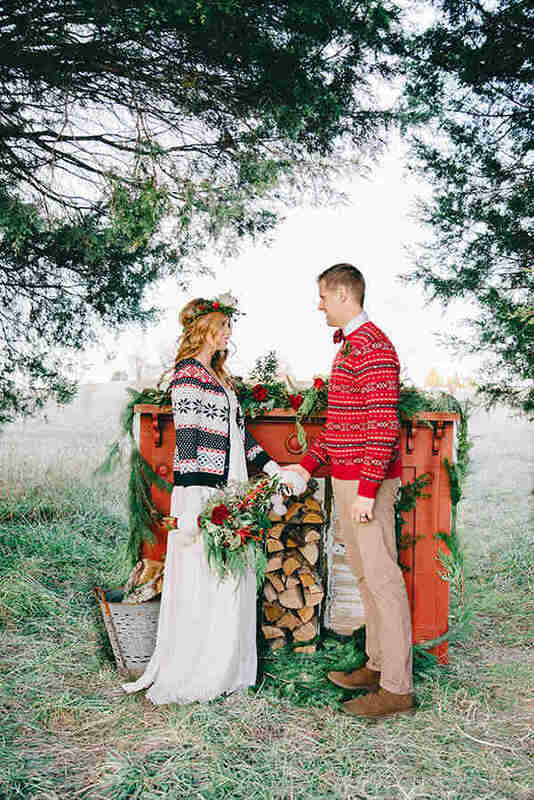 Unconventional wedding on Christmas? Why not! I’m sure that your family and friends will love it!